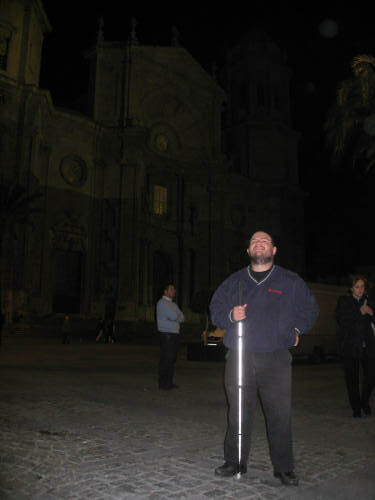 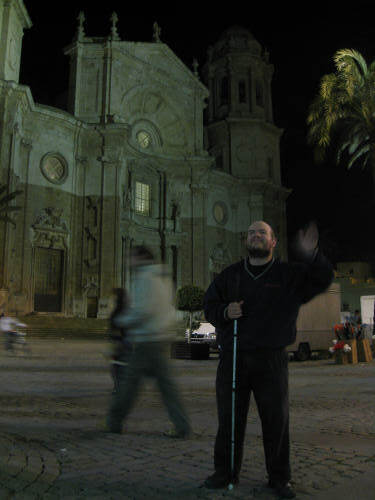 Tony in front of a church in Cadiz centre. 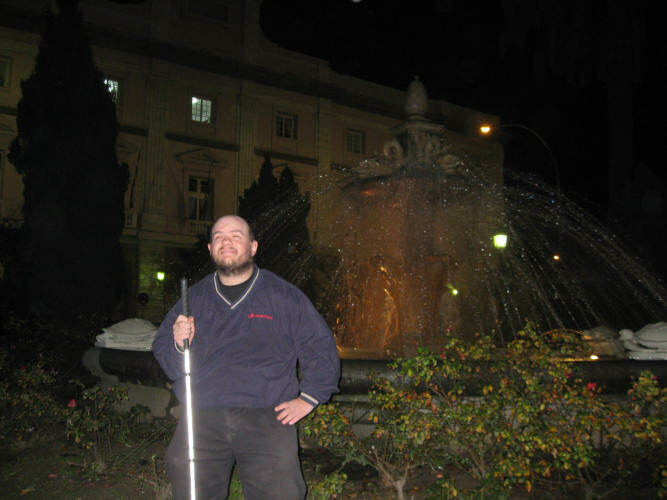 A fountain in central Cadiz. 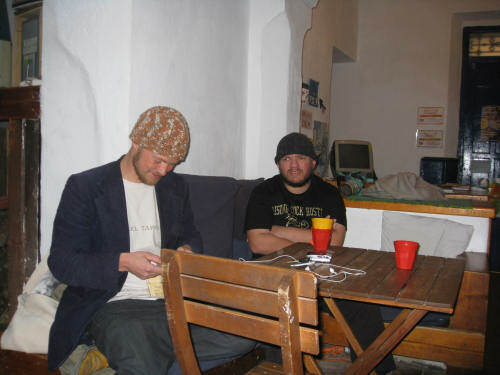 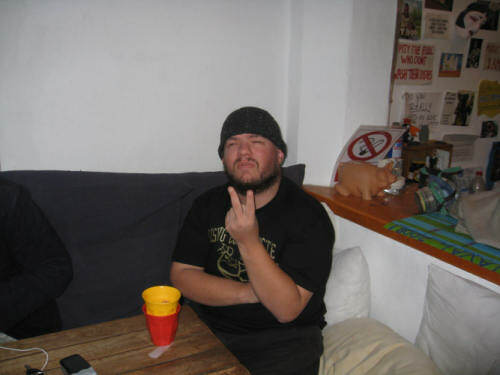 Tony and “Swede” at Cadiz hostel.